Xiaomi teased its first ever quadcopter this week with a picture of a children’s toy, but the Chinese tech company has now given us a little more to look at. As spotted by9to5Google, a post on the company’s forums shows what is likely Xiaomi’s quadcopter, along with an unveiling and live stream date of May 25th. “Something wonderful and cool is flying to us very soon,” says the moderator who left the post. We’ve boosted the exposure a little bit on the image above, and you can see what look like propellors in the background. In fact, the drone bears a remarkable similarity to Chinese manufacturer Yuneec’s Typhoon H, with what appears to be the same underslung spherical camera. Could this be a collaboration between the two companies? Xiaomi did announce an “ecosystem” of approved partners earlier this year. The poster does at least confirm that a drone is coming. We’ve seen a number of leaks prior to this, including a Xiaomi app for 4K video recording on a drone, and a patent showing a quadcopter being controlled with a connected wrist band like the company’s Mi Band fitness tracker. 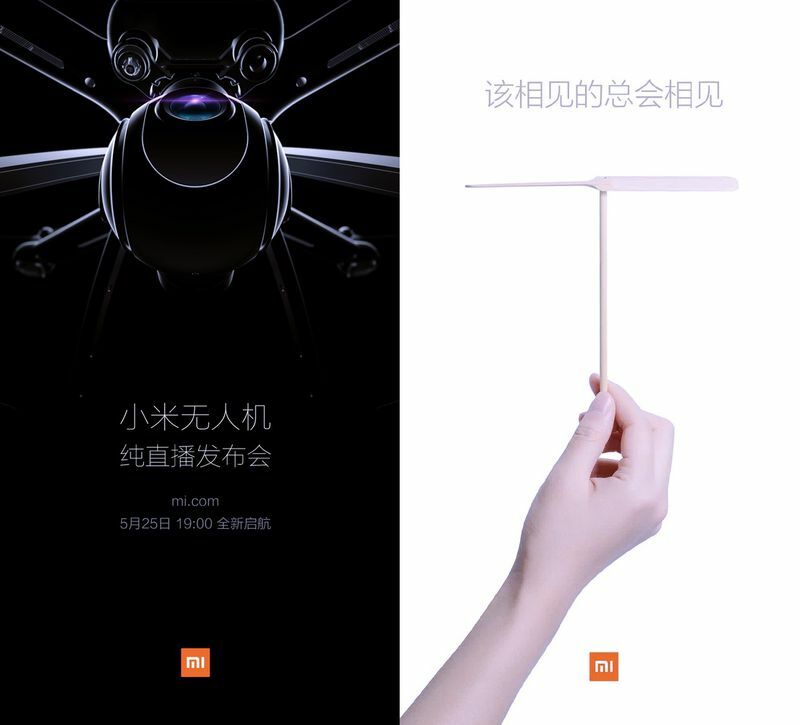 A quick Google translate of the poster suggests that the drone’s unveiling will be live-streamed on Xiaomi’s website on May 25th.